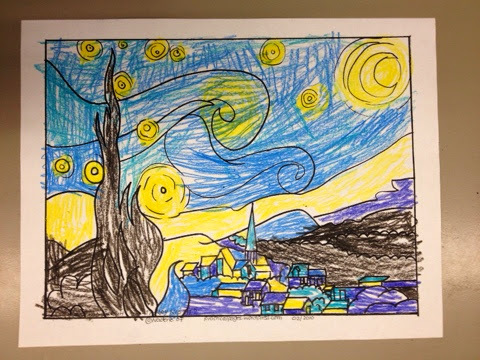 In the art portion of my fine arts class, we often learn about some famous artists and spend time practicing their techniques. And I promise you, if my students can do this, so can yours! Van Gogh was one of my favorites! We focused on how Van Gogh made circles and swirls. 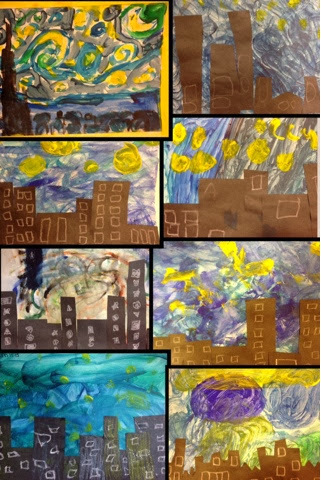 I am pretty much in love with how our versions of Starry Night turned out. 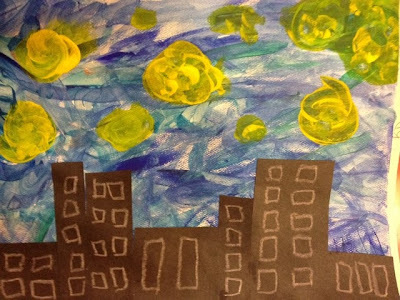 To introduce this activity, we watched this video of an interactive Starry Night. There is an app, but it cost $2, so I decided the video was cool enough. 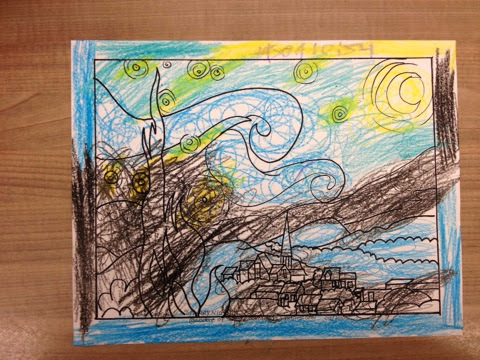 We then looked at Van Gogh's Starry Night projected on my white board and took turns tracing the swirls of the wind and circles of the stars that we saw. We also practiced making these motions with our hands. 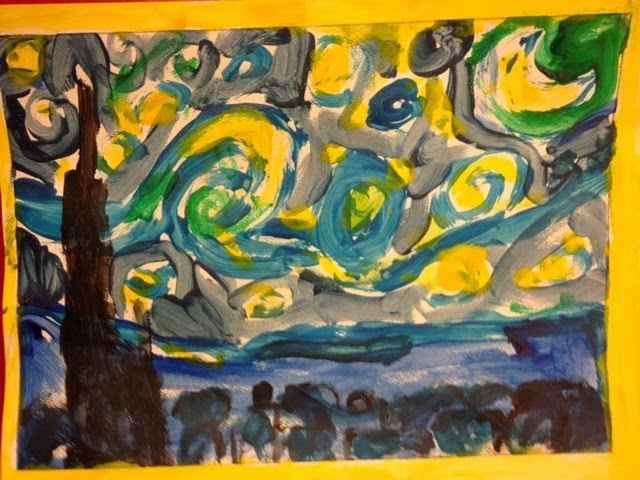 When it was time to paint our own Starry Nights, my aides and I taped paper on our desks with painters tape completely around the edges (so students could paint to the edges of their paper and it also makes a nice border). 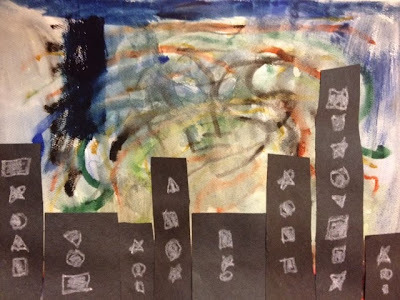 First, students painted the entire paper with shades of blue (I gave each student 2-3 colors of blue, white, and black). Again, I tried to focus the students on making those swirls! 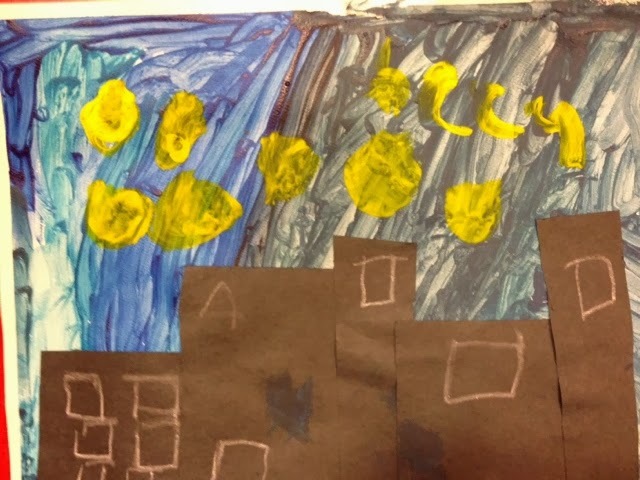 While the paint was drying, we cut out rectangles for our city. After our rectangles were cut, most paintings were dry enough to add the circles of yellow for the stars. And ta-da, you have our very own Starry Nights!